Another week begins, which means European gamers have Nintendo Download Update details to peruse. This week's offerings include a critically acclaimed indie title on Wii U, a shmup, another DS Virtual Console release and a promising RPG on 3DS; in addition there are a huge number of discounted games. Let's get to the details, shall we? 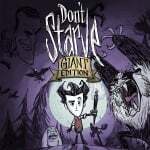 Don't Starve: Giant Edition (Klei Entertainment, €13.99 / £12.59) - An intriguing and stylish survival experience that has been critically acclaimed. The Wii U version also comes with the Reign of Giants expansion pack as part of the main game, while utilising the GamePad for inventory management and off-TV play. We'll try and survive to bring you a review soon. FullBlast (EnjoyUp Games, €4.99 / £4.40 until 2nd July, then €5.99 / £5.39) - Previously released on smart devices and Ouya, this adds to the small band of shmup titles on Nintendo's home platform, in this case with a focus on vertical scrolling and some boss set pieces. It supports two player co-op, too, and we'll give it a blast for review. Big Brain Academy (Nintendo, €6.99 / £6.29) - A title that helped to define the concept of the DS, and contributed a great deal to the portable's incredible success, arrives as the latest in the limited - to date - batch of DS titles on Wii U. A collection of minigames to test your faculties and (hopefully) show progress with practice, we gave this a reasonable if not glowing recommendation in our original Big Brain Academy review. Lord of Magna: Maiden Heaven (Marvelous, €29.99 / £24.99) - This retail title is localised for Europe as an eShop-only release and is produced by Yoshifumi Hashimoto, the man behind Harvest Moon, Rune Factory and Story of Seasons. An RPG with battles that focus on areas rather than grids, this also promises a diverse cast and dramatic storyline. We'll let you know what we think in a review. Very disappointing week! You'd think they'd be rolling out the N64 games at a good pace now. Doesn't seem like a very good week. I might buy Don't Starve: Giant Edition, but since E3 is coming up, I may save my money for future games. And food. @Zerodactyl It'd be pretty ironic if you bought a game called like that at the cost of cutting your food expenses. I'm still level 14 on Splatoon and will start single player when I'm level 20 and my gears are set so nothing for me this week. Retro City Rampage for me. Another bad week, where's Mega Man & Bass and the 2 missing Battle Network games? That said, I don't have high expectations until E3 week anyway as Nintendo will want to force people to continue playing Splatoon instead of getting distracted by a fantastic VC game. Unepic for me, been waiting for a price drop. However it will sit in the backlog for a while I expect but I can't pass up a bargain! I would have bought Lord of Magna Day One if it would have gotten a retail release. But an eShop only release with that price tag... have to pass. Rune Factory 4 was an exception. If anything it will be Retro City for me too. Ill get full blast and maybe don't starve.kinda funny how the retro city rampage guys were praising the 3ds as best selling full price port and a week later it's on discount. It's time to give Unepic a chance. Any of you guys played it? Nowt for me, release or discount-wise. I hope to order Lord of Magna from the U.S (I have an original US 3DS and hope to buy a U.S. New 3DS XL in the future). If it goes on sale for half price in the future I may pick it up. Considering Marvelous are doing the Senran Kagura 2 copies on demand and taking money immediately, I wish they did the same for this. I'd gladly pay £40 for a hard copy. Maybe Retro City and Rock n Roll Racing. Edit - Just read the review of RnR Racing. I must have been thinking of another game. @andreoni79 I have. I like it a lot. I recommend watching a small part on YouTube before purchase to see if it is something you may like. Do we get a bonus copy of Don't starve like the US? @ThomasBW84 Hey do you know if Don't Starve comes with the promotion 'buy one get two' as it was mentioned here and there previously? Tried Don't Starve on PS Plus, didn't get on with it (find it too pressuring on my weak gaming nerves). So another week, and many months have passed with no downloads. Still busy with Splatoon and Majora's Mask 3D. @maneauleau I'd love to know this myself. I don't see Rock n Roll Racing listed. Where is it? Rock n Roll Racing (from Blizzard, also made Lost Vikings in that era), would be an instant buy from me. Wow. Honestly now, who would have ever guessed that Enjoy Up would throw a sale?! ...and isn't this the first time Circle have ever had a sale? and Teyon, everyone's favorite! Jeez. It's getting boring now guys, your games are permanently on sale. Eagerly anticipating 3D Streets of Rage 2 and 3D Sonic the Hedgehog 2! I loved Big Brain Academy on the Wii,sunk many hours into it.I'm sure it was one of the first games I got for my Wii and not having a DS at that point,i'd never played a game like it.Whenever I was working the hated 2 pm start on backshift I used to fire it on for a few rounds before I left to get my brain working for the grueling day ahead,it never made my day any better but it definitely made me more alert haha. Not too bothered this week, but there's loads to keep me going with Splatoon especially. No point in releasing too much in weeks when you really want people to pick up certain titles - don't want to offer too much choice so that games compete unnecessarily with each other. May get Unepic and Don't Starve if it's bogof, otherwise I've got Splatoon to entertain me. Still playing Splatoon, Paper Mario & The Witcher 3. I think I'm good until Yoshi drops a nice woolen nugget into my Wii U! 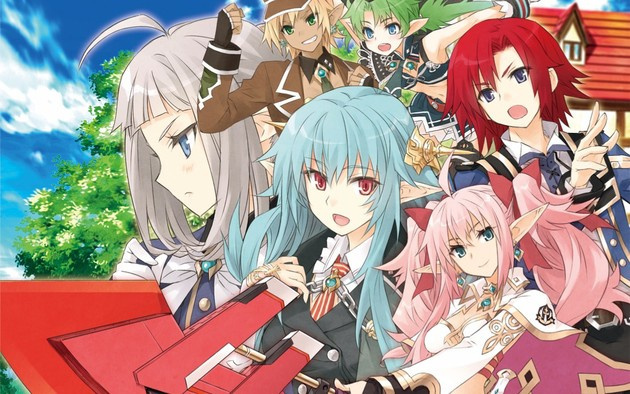 Looking forward to the review for Lord of Magna: Maiden Heaven. Another 'Nothing' week! And why is it when they finally start releasing titles from the enormous ocean of DS games, they choose crap like 'Big Brain Academy'?!? I mean, it might be an ok-ish title, but there are like 537 titles to pick before this one! Would love Don't starve but I bought Splatoon and have not got enough money left to buy it. I will probably get retro city rampage as I have that money just sitting on my 3ds anyway and I have been curious about that game for a while. "AVGN Adventures, coming soon to European eShop." Still no word on gba titles for 3ds vc. This would sell like mad. But need pokemon gen 1 and gen 2 on 3ds vc. Haven't played Big Brain Academy on the DS. But the Wii version - assuming that it'll arrive sooner or later - is actually a great party game and in this sense very recommendable! I hope that its original budget price will be reflected in the download price, if it should arrive. If it comes to NA, I would download Big Brain Academy. I never played the DS version, but I owned the Wii version at one point; and it's very good. I would download the Wii version in a second if that were to be released digitally. @Grumblevolcano If a VC game distracts people from Splatoon, then there's something fundamentally wrong with Splatoon. That or they all have ADD. GBA games for the 3DS will not happen. They've said it causes problems with it and hat they want the "ambassadors" to keep their exclusiveness. Big Brain Academy on DS is a bit of a random addition to the VC, it is a good game but again it's going to suffer like Mario Kart DS as all of its multiplayer options are essentially void. I do still own the original cartridge and it's a great game if you play it with other people who enjoy that sort of thing. I was looking for a Virtual Console game (3DS). I think we haven't got any in a while. Big Brain Academy is a very fun game, if I'll get something, I'll get that one. Where is Konami Krazy Racers??? You do know that you cannot use your MP gear in campain and that finishing the campain unlocks weapons you CAN use in MP? Best to finish the campain early so you have better gear in MP. Sorry, but I wanted New Super Mario Bros. (DS). Nothing to pull me away from my back log there, I'm running a finish 3/start 1 average to clear all the titles I left bits out on! Going well and got through loads but the last level on nes remix and the last level on sm3dw are killers so that will slow me down again!! @Sakura loving your cat picture there.....is it yours or plucked of the web? Edit: Just saw it comes out tomorrow for NA. Crap Just spent my gaming money on Splatoon and amiibo. I'll have to get it next month since I'm buying power tools this month. Lots of junk on 3DS discounts. Like always. I can't imagine it will be too great but I've always loved shmups and am wondering how Fullblast has turned out for the WiiU. GBA games for the 3DS will not happen. VC games for the 3DS will not happen either any time soon. 3DS virtual console where are you? @ZenTurtle Now that would be a beautiful twist of fate. @IceClimbers I'm sure Hotel Mario, Link: The Faces of Evil and Zelda: Wand of Gamelon would attract people's attention even if only to relive Youtube Poop. Of course that would never happen because Philips and Nintendo are enemies but still if it did then I think that would be the outcome. A whole lot of nope this week. For me at least. @ULTRA-64 That's my cat after a sneaky nap in the tumble dryer! Guess I'll get Wakedas. I currently have too many games to justify buying ANYTHING except on sale. Even though it's only from 3€ to 2€, I really enjoyed the demo, so I guess I'll pick it up.